With the colder weather on its way Cats Protection is appealing to cat lovers to get knitting! 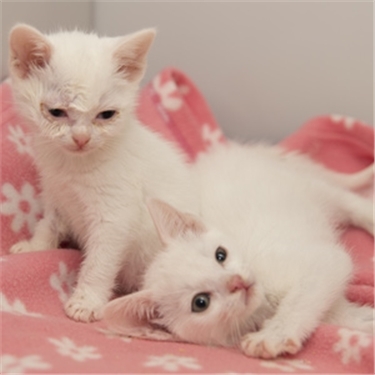 The charity currently has more than 6,000 felines in its care and a new blanket or a knitted mouse toy could help to provide them with some comfort and fun while waiting for a new home. 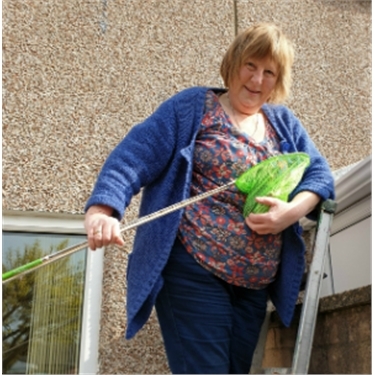 The launch of the Cats Protection knitting bee coincides with the charity’s presence at the next Knitting and Stitching Show (10 – 13 October at Alexandra Palace in London). Donations of knitted items can be dropped off there at the Cats Protection stand (P50). For those not visiting the show, the charity’s branches, shops and adoption centres will be happy to accept donations of knitted mice and blankets. Mouse toy knitters may like to use the popular Captain Cat-Battler pattern, originally designed by Lauren O’Farrell (www.whodunnknit.com). Additionally www.ravelry.com is a good source of free knitting and crochet patterns. To obtain the Captain Cat-Battler knitted mouse pattern and/or for details of your nearest Cats Protection branch, shop or adoption centre, please call the charity’s national Helpline on 03000 12 12 12 or visit www.cats.org.uk. 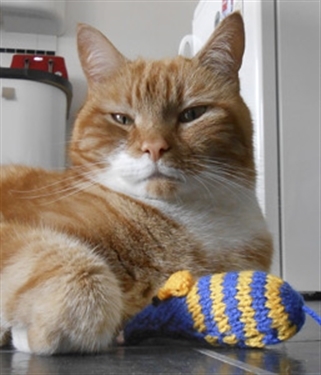 Cats Protection advises that when knitting a toy or blanket, it’s best to avoid the use of stretchy yarns or small plastic items – such as those that can be used for mouse eyes – to reduce the risk of injury to cats and kittens. Loose weave blanket patterns involving the use of large needles are best avoided too. The charity also suggests that cat owners regularly inspect cat toys for signs of wear or damage, not to leave cats unattended with knitted toys, and not to use knitted toys or blankets with cats that have wool-chewing habits. 1. Cats Protection would like to thank Lauren O’Farrell (www.whodunnknit.com) and Battersea Dogs and Cats Home for generously allowing Cats Protection to use the Captain Cat-Battler design. 2. 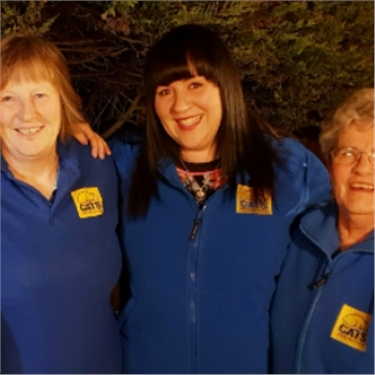 Cats Protection is the UK’s leading feline welfare charity and helps over 218,000 unwanted cats each year through a national network of 257 volunteer-run branches and 30 adoption centres. The registered charity number is 203644 (England and Wales) and SC037711 (Scotland). The charity’s vision is a world where every cat is treated with kindness and an understanding of its needs. 3. Founded as the Cats Protection League in 1927, the charity adopted the name Cats Protection in 1998. We ask that you use the name Cats Protection when referring to the charity in all published material.